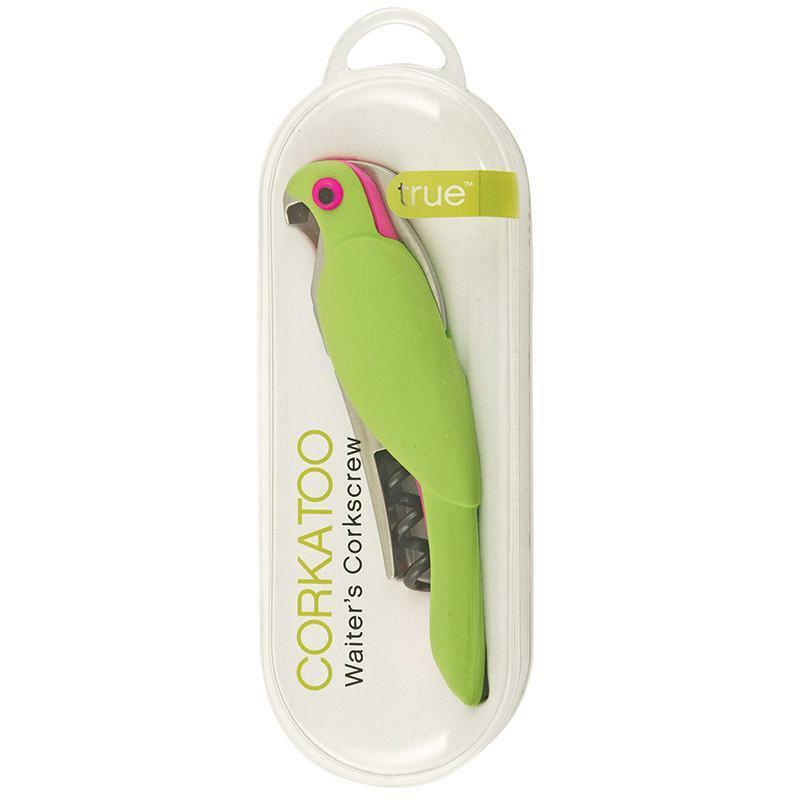 Corkatoo is your fashionable feathered helper. 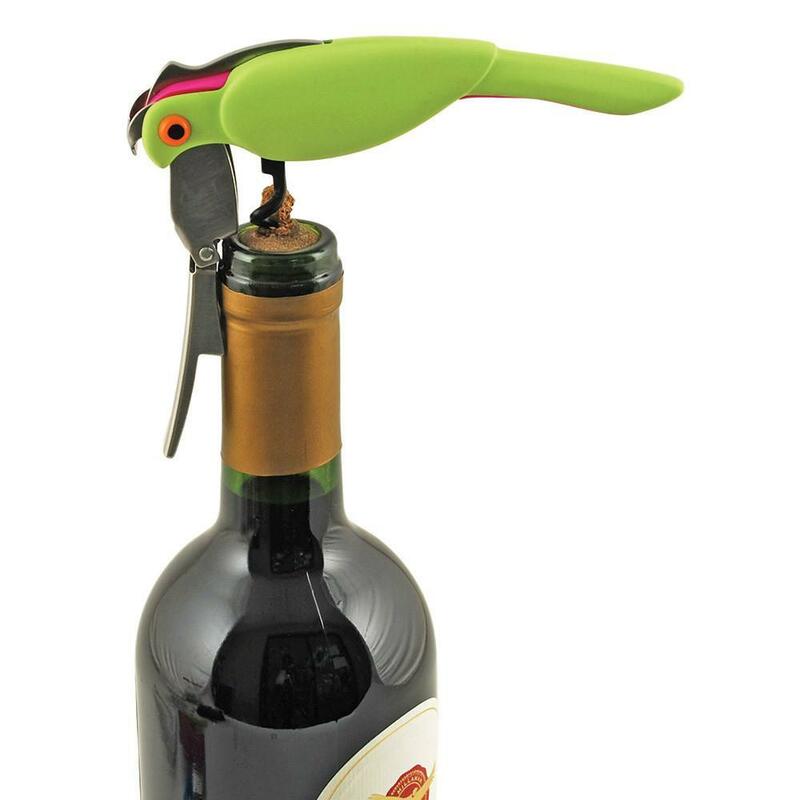 The soft-touch handle, double-hinge design and serrated foil cutter help make effortless opening more fun than ever. 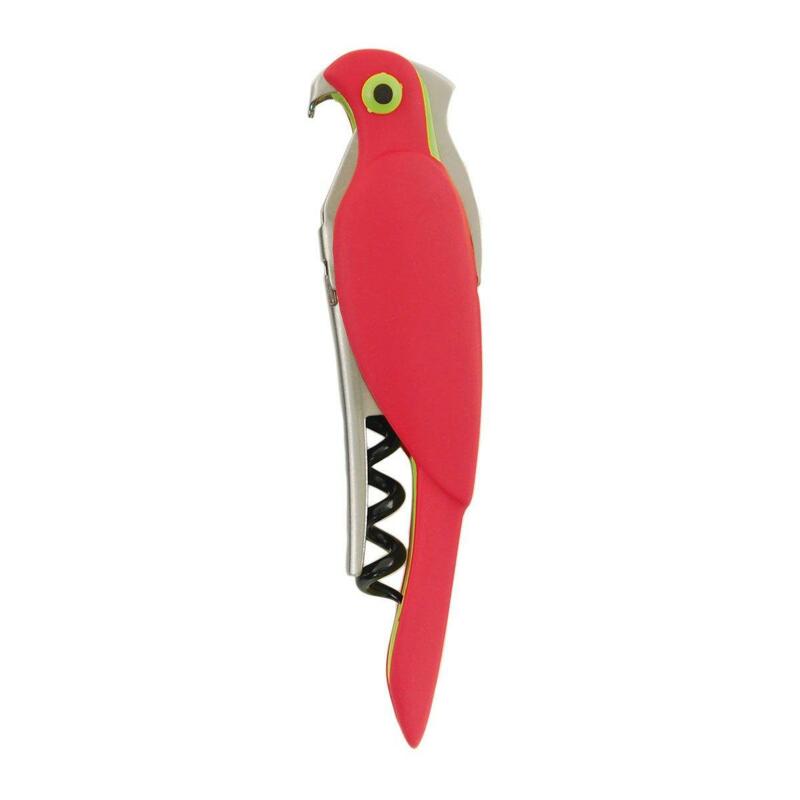 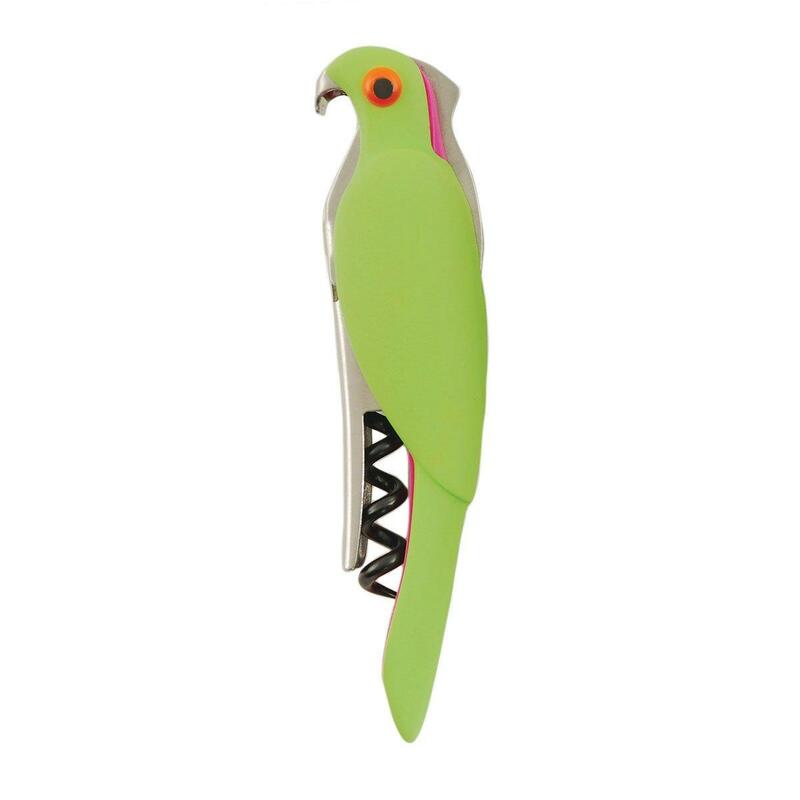 His beak acts as a beer bottle opener making this playful tool as functional as it is colourful. 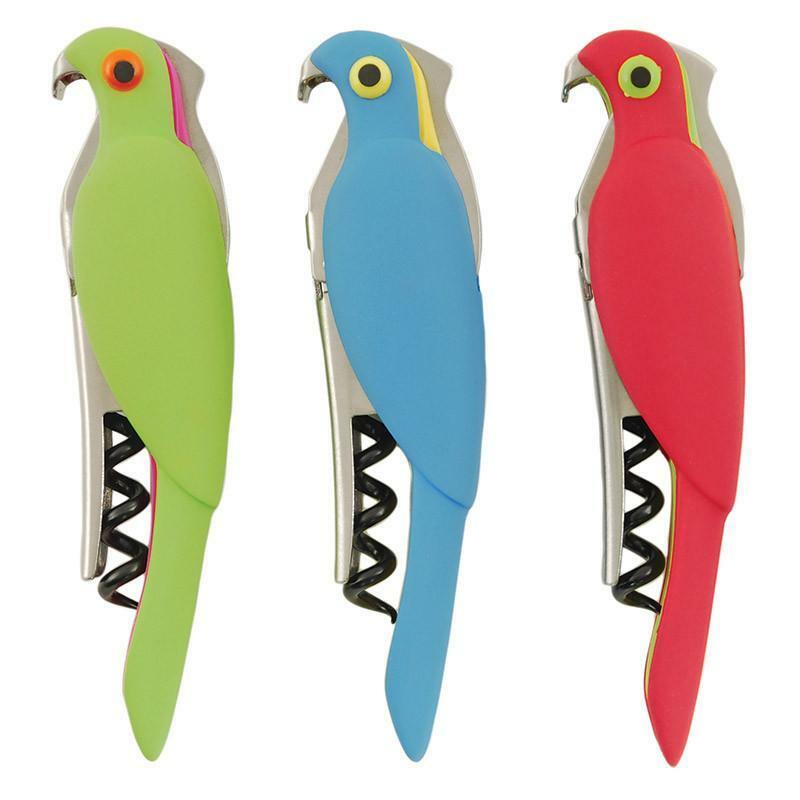 Available in three bold colours, packed in a solid clear case.